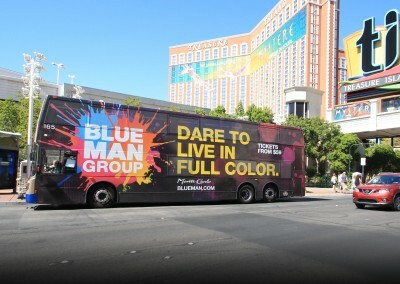 The innovative theatrical show Blue Man Group has been wowing global audiences for 25 years. 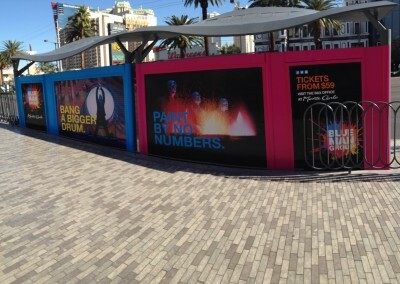 Part of their magic to longevity is an ever-changing show that is consistently refreshed with new music, stories, technology and instruments. 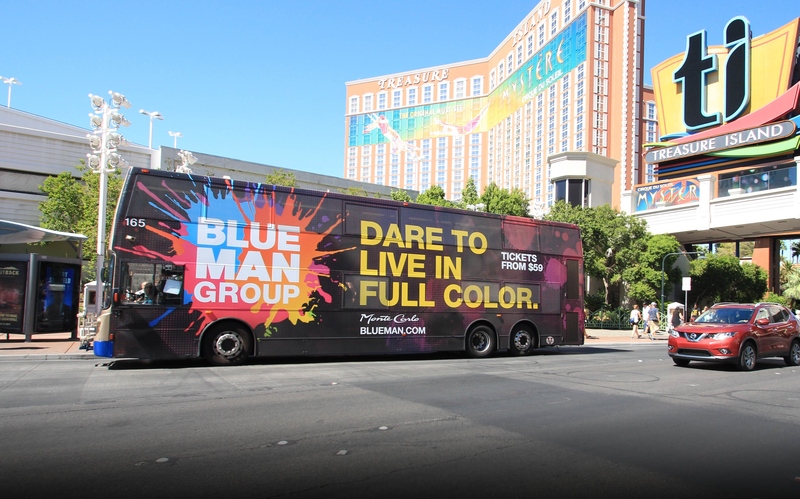 In 2014/2015 we were challenged by Blue Man Group to help them “bang a bigger drum” and “live life in full color” to support their creative changes. 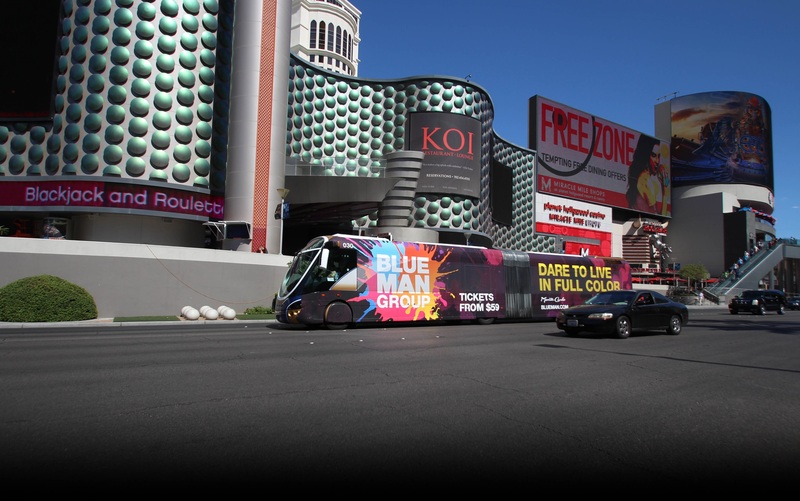 Our objective was to increase share of voice within the Las Vegas tourist corridor while using locations and applications that complemented the new creative energy. 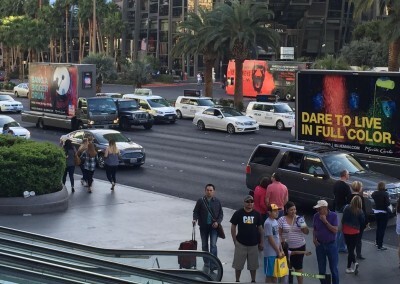 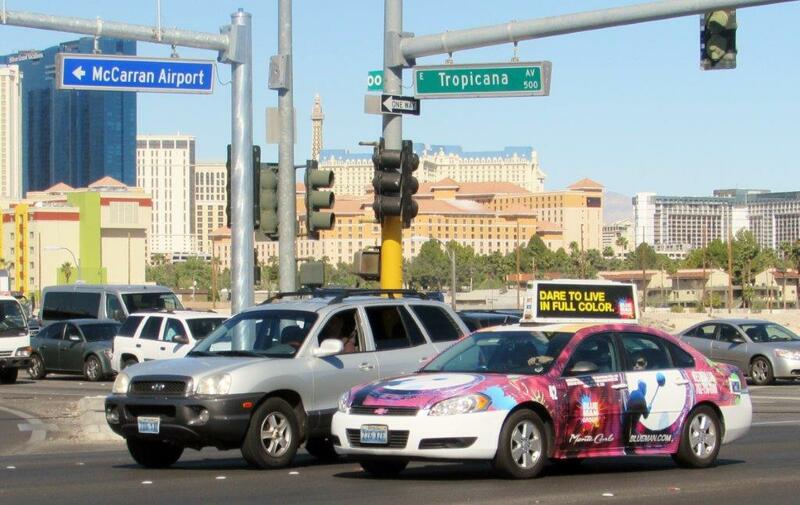 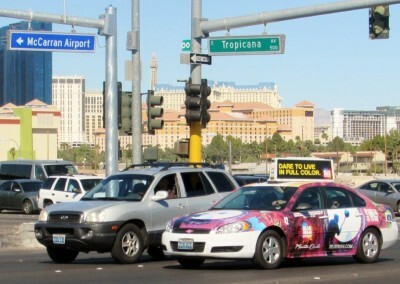 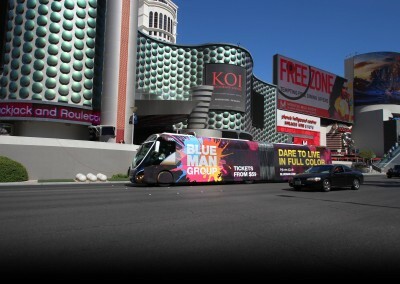 Utilizing a mix of static and digital media formats we were able to both saturate the Las Vegas Strip as well as deliver unique, high-impact messages within the tourist corridor. 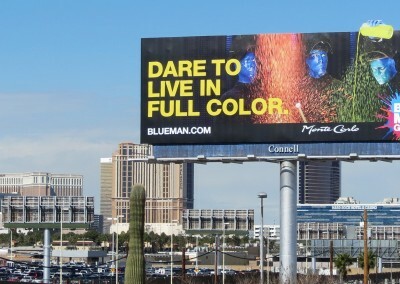 We utilized larger format media for wow factor, including the Harmon Corner spectacular which is one of the largest digital faces in the country at 60’ x 306’. 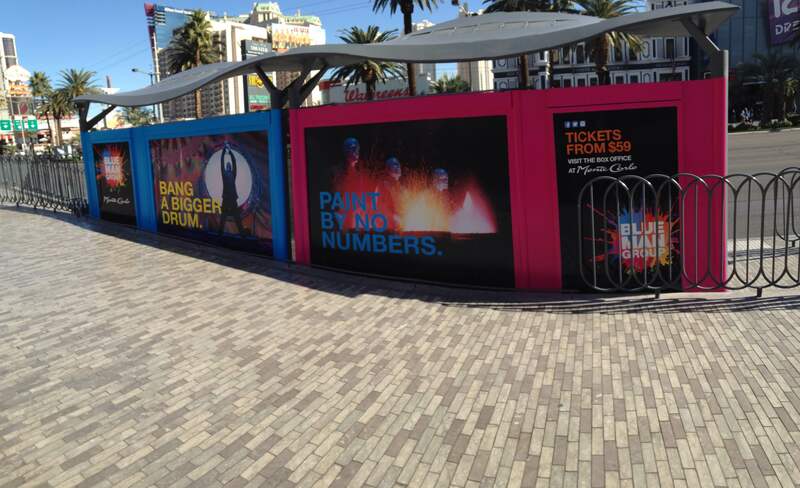 We also used four bus wraps, a static mobile billboard Burma shave execution, taxi wraps, and a pedestrian transit shelter wrap directly outside of the Monte Carlo to help “bang a bigger drum.” With a 20% increase in budget we were able to increase our total out-of-home impressions by 62%, and we lowered our CPM to just over $1.15.